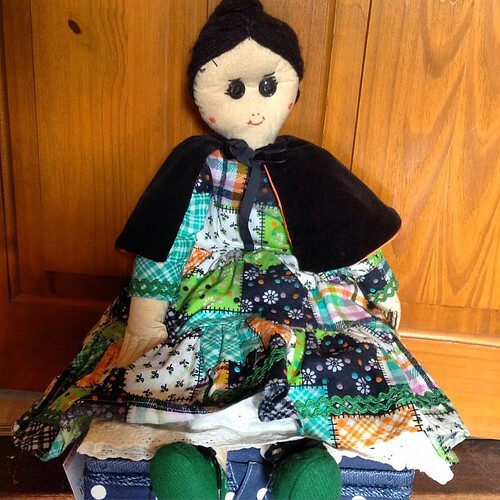 Sweet bag, and your doll is a great keepsake - she looks like new. 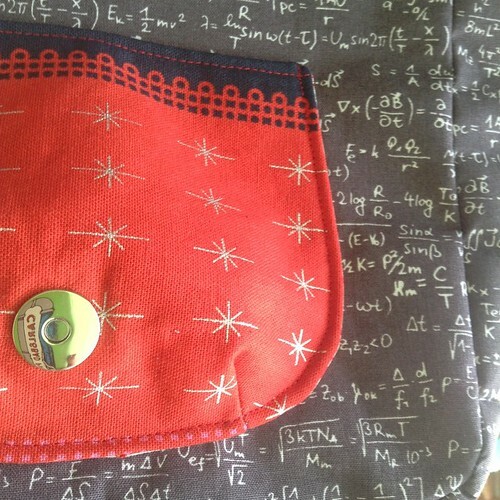 Lovely bag, with loads of mathematical tradition! Gorgeous bag!! Love the mix of fabrics! 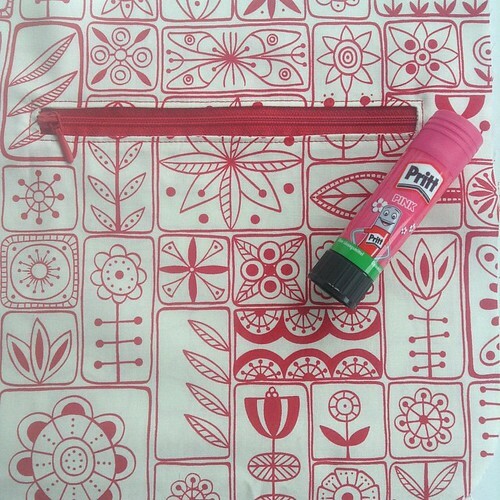 Pink pritt stick?! I must have that!! Great bag - and love the family history! Thanks for sharing on le challenge.. 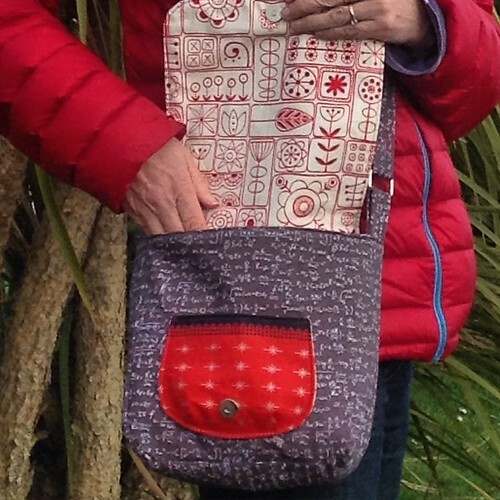 Darling bag, sewing your own is awesome! What a sweet little bag. I especially like the pop of color on the exterior pocket. I see that you used a magnetic closure. What's your experience with magnetic closures? They seem so strong to me and I fear that they'll damage my fabric, so I avoid them! Managed to get my entry in on time this month. Still pondering for the next one though! Lovely bag! Such a neat finish with the zip.